It's not often that life gives you second chances, but that's exactly what's happened with Jason Aldean's Burn It Down Tour! Two-time ACM “Male Vocalist Of The Year” Aldean extended his colossal, pyrotechnic-laden tour for a second leg saying "The tour is doing well, so you want to expand it and hit some cities that you didn't hit on the first leg of it — that's the biggest thing." Boy are we glad he has! Bringing with him breakthrough artist Cole Swindell and up-and-comer Tyler Farr, Aldean comes to Blossom Music Center on Saturday 19th September! Book your tickets now for this explosive show! 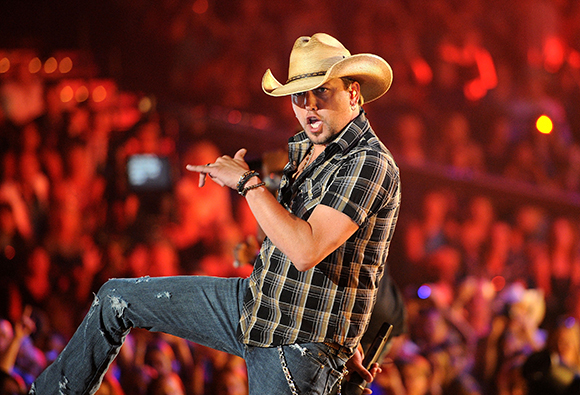 With over 10 million album sales and 13 number ones on the Country Radio charts, Georgia native Jason Aldean is a firm favourite of the country music scene. Each of Aldean's six albums have reached platinum, with his 2012 album Night Train certified as double-platinum and his 2010 album My Kinda Party certified as triple-platinum. His 2014 single “Burnin' It Down” was the fastest selling single of 2014, earning platinum certification in only 9 weeks. Recently declared Top Digital Male Country Artist In History by the RIAA, with sales totaling over 21 million downloads, Jason Aldean is hot property in the country world and his future is only getting brighter.